Hey hey my friends! 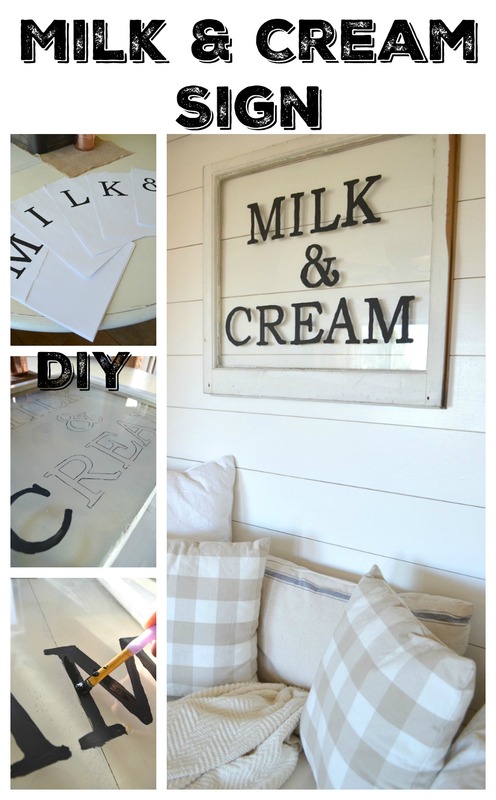 So after many requests, I’m excited to share the easy peasy tutorial for the milk and cream sign you all saw in my cozy reading nook post last week. It was insanely easy to do, and very cheap. It’s actually the first sign I’ve made on an old window, but I used the same technique I use to make most of my signs and it worked perfectly. 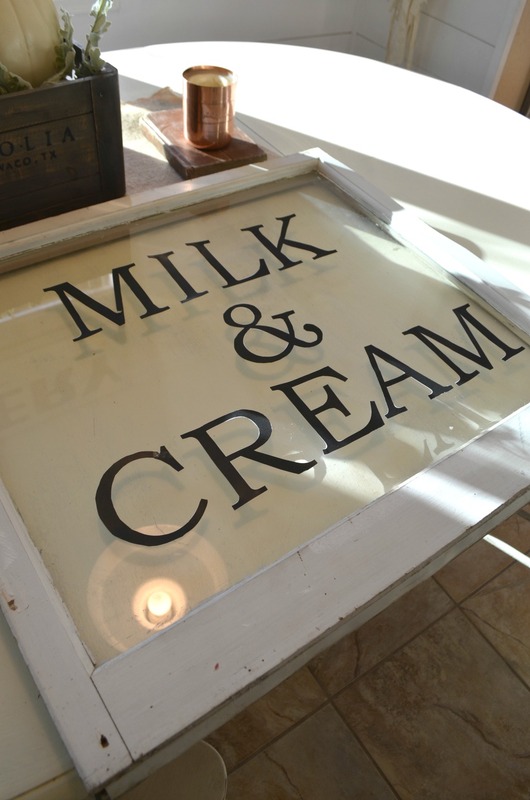 All you need is an old window, paint, and a regular ol’ printer. Nothing fancy here–as usual! 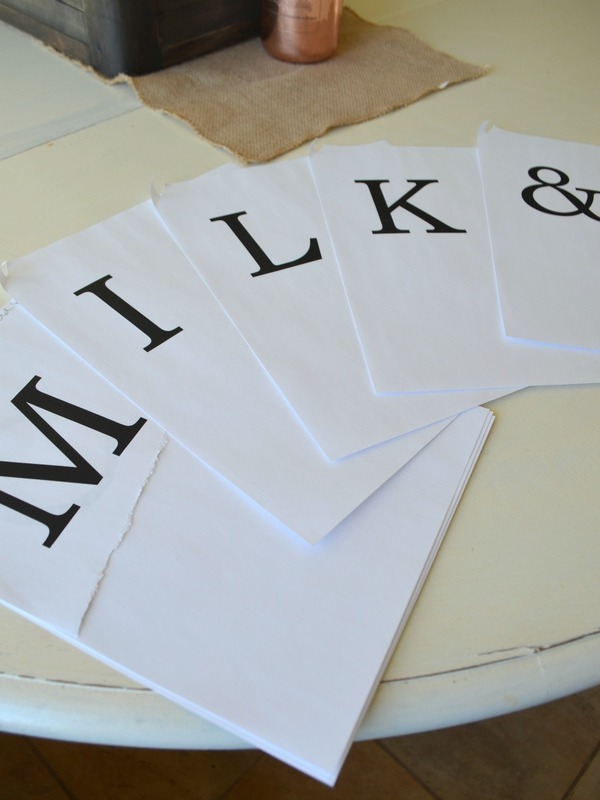 So first up you need to print out the MILK & CREAM letters. I did this all in Word. Just open a new document, spell out the words and increase the font size so it’s large enough to fit your window. For this sign I used the font Bookman Old Style in size 400. Eaassssssy. Once you have the letters printed simply cut them out and tape them on your window. Any window will do for this project, so if you don’t have a large one like mine, a smaller one will work perfectly fine too. Customize it and make it work for you! Here they are all cut out and laid on the window. 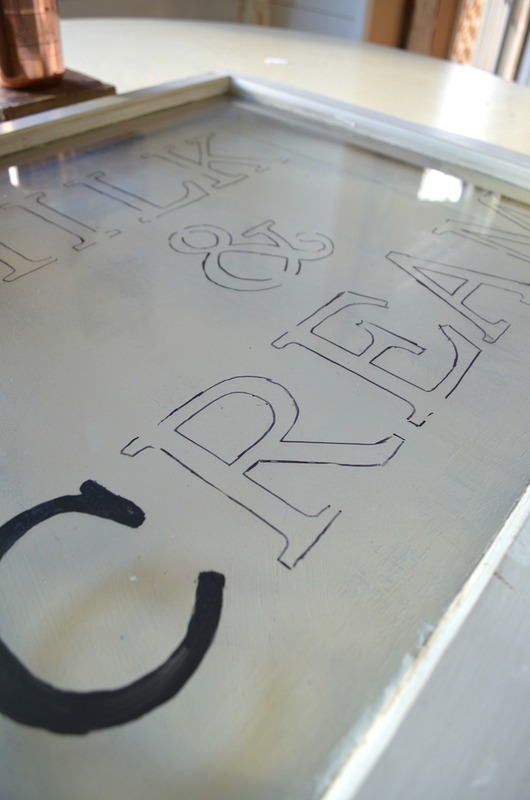 I love doing signs this way because it lets you see exactly how it will look before you start painting. Make sure everything is straight and even, then put a tiny piece of tape on each letter to hold it in place. I then traced all the letters using a black sharpie marker. Fancy, I know. But it worked perfectly. If you aren’t using black paint you probably want to do something different, but this got the job done in a jiffy. And it actually rubs off, so if you make a mistake just wipe it down and do it again. 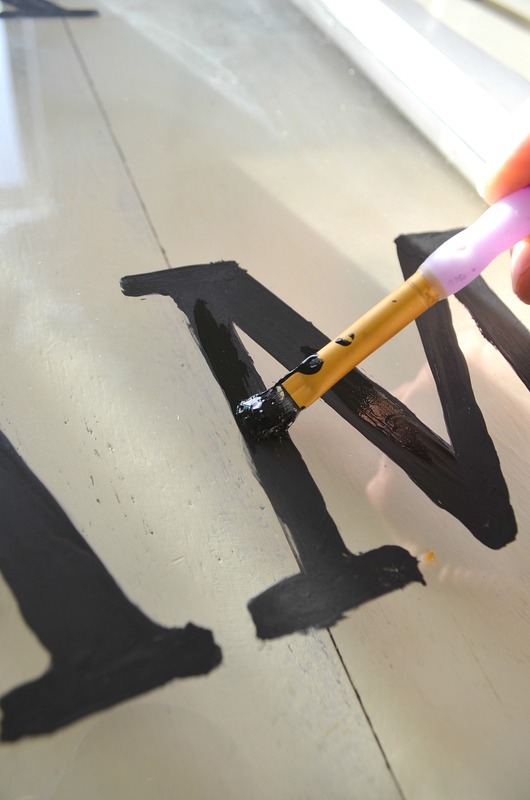 Then fill in each letter with a tiny paint brush and black paint. I just used black acrylic paint for this part. And don’t stress out if it’s not perfect, it doesn’t have it be. 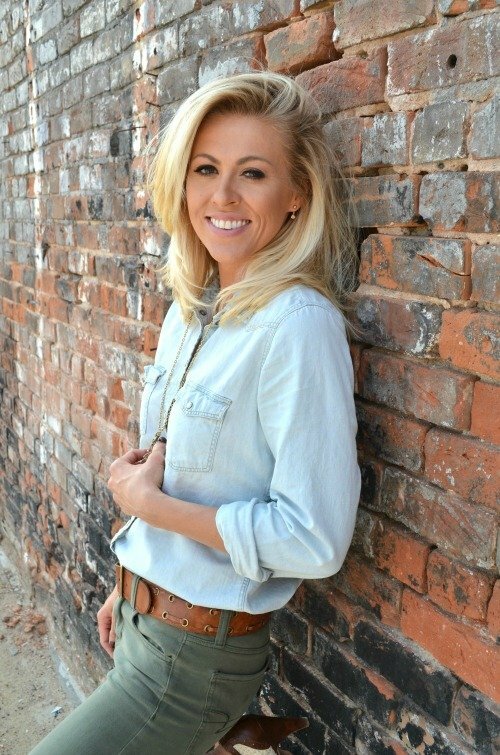 There’s a lot of charm in imperfection, right? All the letters are painted and this baby is ready to go up! So that’s it. Easy, cheap, and quick. What’s funny is that I’ve had this project on my to-do list for weeks now and I forgot all about it. Ooopsie! Sometimes I do that. I have too many projects going in my mind at any given time. I’m sure a few of you creatives can relate. Anyway, like I said earlier, you can totally customize the sign to make it work for you. You can use a smaller window if that’s what you’d prefer. Heck, you could even change it to say anything you want. I thought it would be fun to make one that said MERRY & BRIGHT for Christmas. Whatever your little heart desires! Well let me know what you think and if you have questions, I looooove hearing from you guys! Super adorable- going to see if I can find an old window today that doesn’t have the window trim inside- crossing fingers and toes. Good luck, I hope you can find one Rosana! Thanks for stopping by, I really appreciate it! Wow that looks cool and easy, definitely will try!!! Thanks Sarah!! Definitely easy, I think the whole project took an hour. Glad you liked it Mary and thanks for stopping by! I’m so trying this!! what a great idea as always you are awesome!! love you, Sarah!! Definitely give it a try, it’s so easy! Love you sweet Kellie! Thanks so much Sarah!! What a great tutorial and it IS easy peasy! WOW….that is super easy. And, as you said, any size window with any words on it. Love it…Thanks, Sarah…as usual!!!! 🙂 Happy Thursday!!!! Yep, any size window will work–just adjust the size of your letters. Thanks for stopping by Doreen! Aw thank you Angel, I really appreciate that!! So glad you enjoy it! What a great idea! I love that it looks super easy to make. Thanks Sandy, it’s definitely an easy project! thanks for sharing! looks easy & affordable! ???? Yes exactly, you know I love cheap DIYs! Love this I’m going to try this. I have an old window just like that and have been wondering what to do with it now I know. Thanks.!! ???? Yay, glad you got some inspiration! 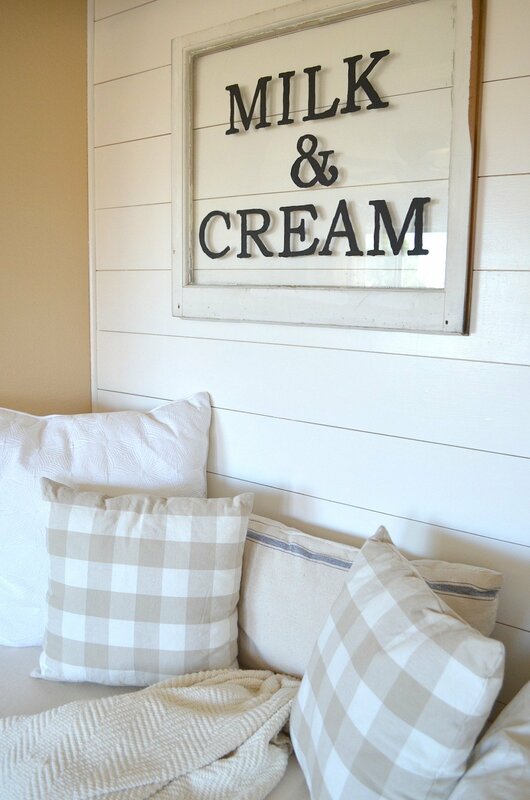 What a cool and easy DIY. I love the way it turned out and how easy you make it sound. 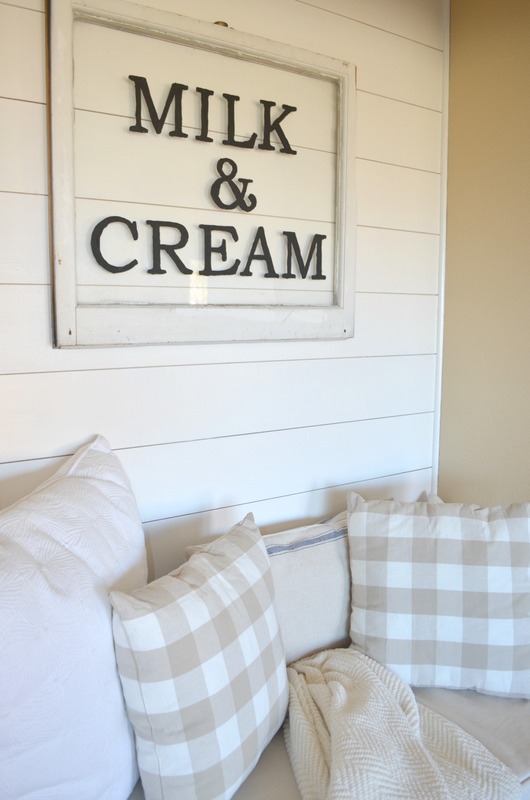 I yet have to make a sign but it is on my list with a million other projects. Thank you Sabrina, it’s definitely one of the easiest signs I’ve ever made! Cute sign! I’m reading your blog for the first time today. Do you mind my asking where you got your buffalo checked pillows? So cute! Thanks Angie, so happy you’re here. Those pillows are from Target! So easy! I love it! 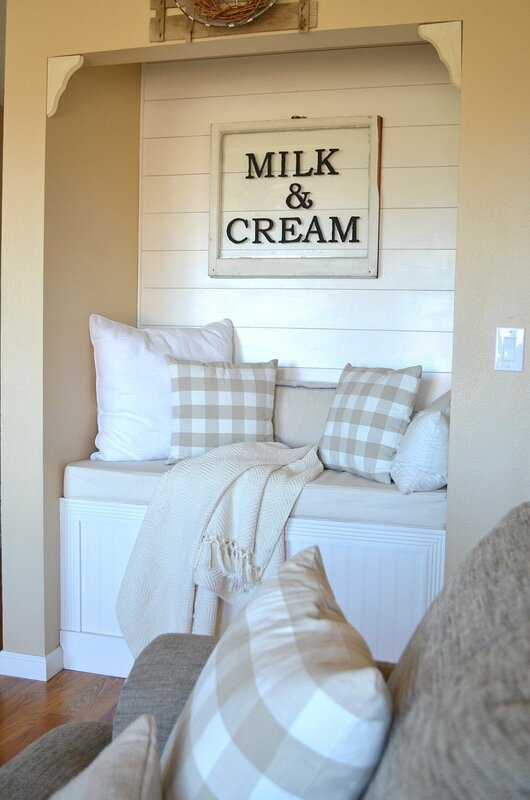 It looks great in your reading nook Sarah! Isn’t is easy?! I love easy. Thanks for stopping by Chelsea! Sarah, I hope you can help me a bit here. I have an old 6-pane window and would love to put it over an antique wooden trunk that was my grandmas (similar to the one you have in your living room) in my bedroom. However, I wanted to put Our Vintage Nest on it but don’t think I can with the six panes. Then I was thinking of a nice green wreath hung with burlap ribbon. Can you help me out I am getting myself so confused. Lol. Thank you so much. Hi Doreen! Sounds like you might not be able to do Our Vintage Nest with that size window…I think a nice wreath hanging on it would be awesome. 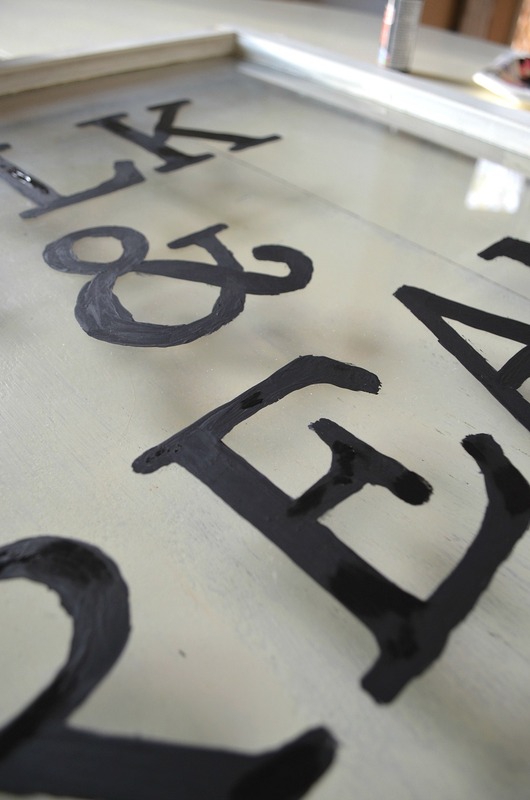 Or you could use Chalkboard Paint to paint the glass, and then you could use chalk to write whatever you wanted on it. Or you could use it for family photos, putting a photo in each one of the 6 window panes. Good luck!